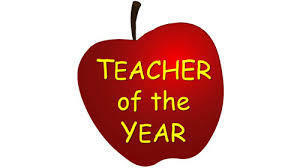 Please consider nominating one of our many outstanding teachers to be the 2017-18 East Hampton Public Schools Teacher of the Year and our representative in the 2017-18 Connecticut State Teacher of the Year Program. This process allows our district to recognize one teacher who then becomes eligible to apply for recognition as the State of Connecticut Teacher of the Year. A formal committee composed of teachers and administrators will review applications from the nominated individuals prior to the announcement of our local recipient in June 2017.